First I have to apologise to you for bein glate with publishing our new regular episode. 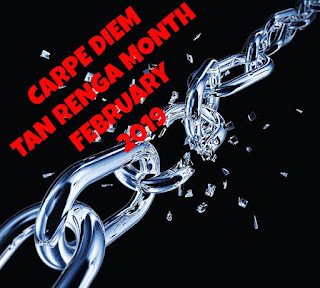 My excuses for being late, but that said ... time to go on with a new Tan Renga Challenge, because that's what we are doing this whole month ... Tan Renga Challenges. 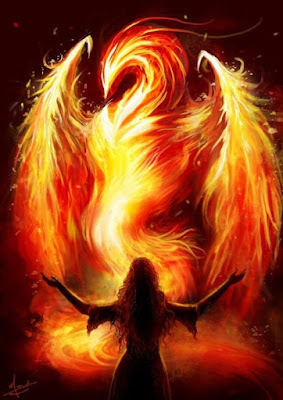 I hope you all have had a wonderful weekend and that your weekend was one of inspiration and joy. Today I have chosen a wonderful haiku to work with created by one of our family members. I haven't ask her yet, but I think she will not have a problem with using her haiku here at our wonderful Kai. I have chosen a haiku created by Dolores of Ada's Poetry Alcove. She wrote this haiku in response on the "rebirth" of our Time Glass feature last week. This episode is NOW OPEN for your submissions and will remain open until February 17th at noon (CET). I will try to publish our new episode later on. For now ... be inspired!